Minehiro Kinomoto will reprise his role as Ryu Terui/Kamen Rider Accel in the upcoming Kamen Rider Chaser V-Cinema. According to Cinema Today, Minehiro Kinomoto will reprise his role in the upcoming Kamen Rider Chaser movie. 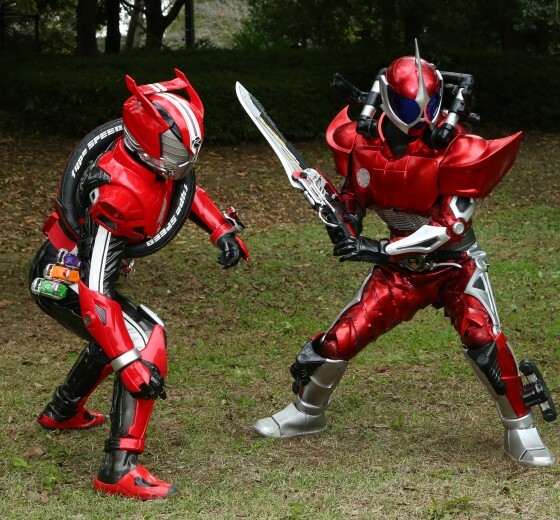 As he appeared in the Kamen Rider W series of 2009, he will be sporting his red blazer. This time, however, he will be operating under the Fuuto Supernatural CSI and meets up with Shinnosuke Tomari during his confrontation with Roidmude 051, defeated by Chase during the events of Kamen Rider Drive: Surprise Future. In addition to Kamen Rider Accel, Mami Yamasaki, who portrayed Shizuka of the Wind from GoGo Sentai Boukenger, will portray Roidmude Angel. She is a being who resides among the humans while at the same time showing sympathy for the Roidmudes. Kamen Rider Chaser will focus on the character’s origin story and a previously unknown secret from his past. Taiko Katono was previously confirmed to return as Chase, and the Kamen Rider Drive twitter confirmed the return of the rest of his costars. The Kamen Rider Chaser V-Cinema will be written by Riku Sanjo, of Kamen Rider W and Zyuden Sentai Kyoryuger fame. It will be directed by veteran Kamen Rider director Hidenori Ishida.